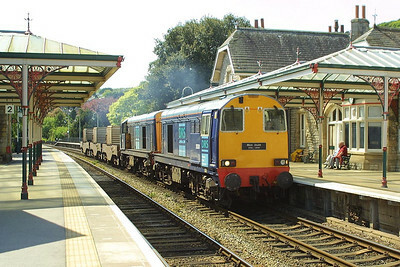 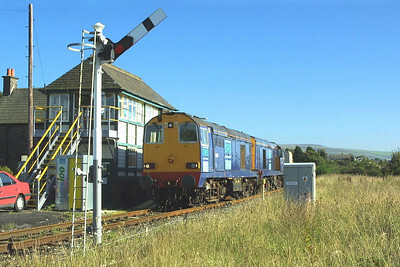 20301+20302 thrash through Grange over Sands with 6C51 1151 ThO Sellafield-Heysham PS nuclear flasks on 15/5/2003. 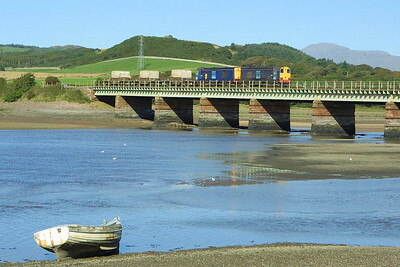 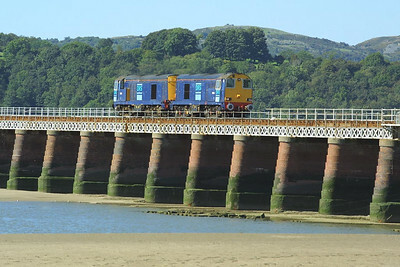 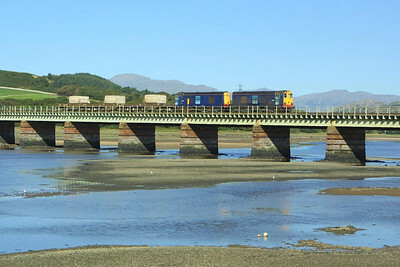 20308+20314 cross Kent Viaduct, Arnside unfortunately without any flasks as 0C51 1151 Sellafield-Heysham PS on 08/09/2004. 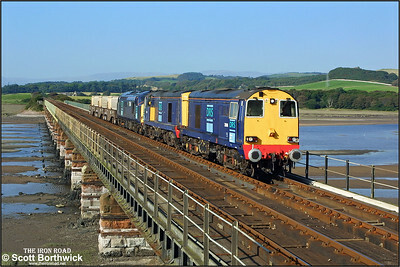 20312+20306 cross Eskmeals Viaduct whilst working 6K73 1535 Sellafield-Crewe on 08/09/2004. 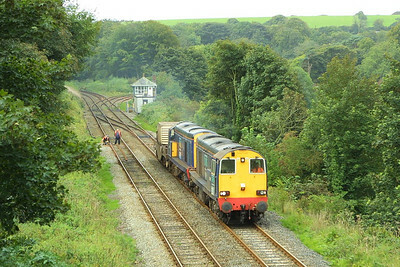 20314+20308 pass Foxfield on 08/09/2004 with 6C52 1605 Heysham PS-Sellafield. 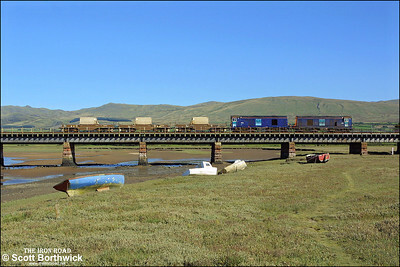 The train was running around two hours early resulting in the sun not being far enough round. 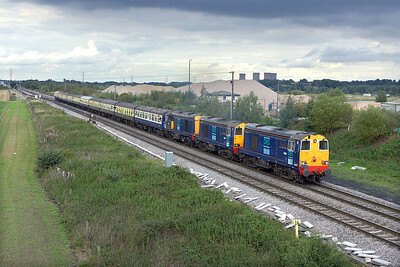 20308+20314+37611 have three nuclear flasks in tow as they cross Eskmeals Viaduct with 6K73 1535 Sellafield-Crewe on 09/09/2004. 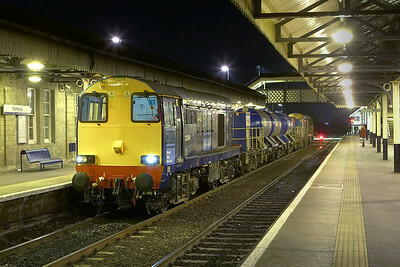 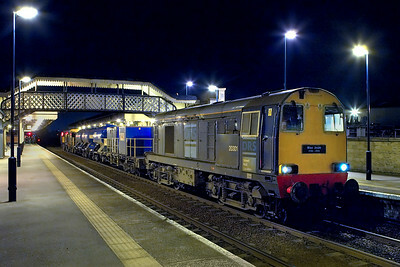 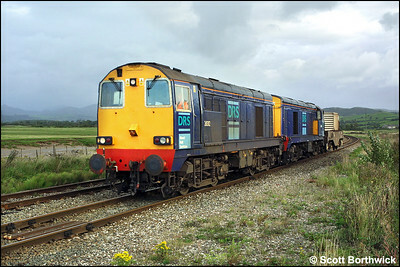 20312+20316 are pictured with a single flask at Kirkby in Furness on 11/09/2004 with 6K73 0920 SO Sellafield-Crewe. 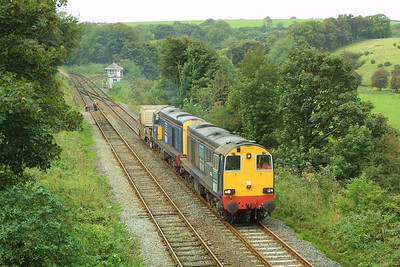 20312+20316 accelerate away from Dalton Junction on 11/09/2004 with 6K73 0920 SO Sellafield-Crewe. 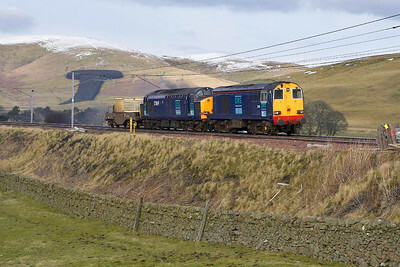 20311+37069 pass Crawford in the Scottish Borders with 6M22 1245 ThO Q Hunterston-Carlisle Kingmoor Depot nuclear flask on 03/03/2005. 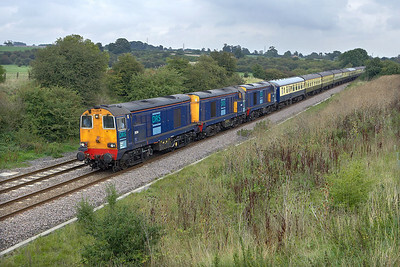 20314+20309+20306 pass Brentingby whilst working 1Z82 1337 Kettering-Preston 'The Rutland Renegade' on 26/08/2006. 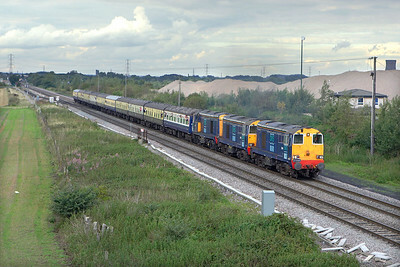 20314+20309+20306 pass Bagworth whilst working 1Z82 1337 Kettering-Preston 'The Rutland Renegade' on 26/08/2006. 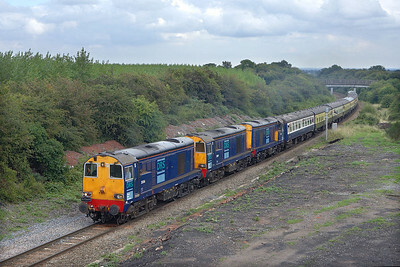 20314+20309+20306 pass Catholme whilst working 1Z82 1337 Kettering-Preston 'The Rutland Renegade' on 26/08/2006. 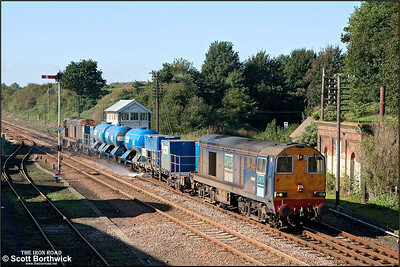 The waterjets are on as 20309/20308 pass Wymondham running 20 minutes late with 1Z61 0845 Stowmarket-Norwich Trowse Yard 'Leafbuster' on 07/10/2006. 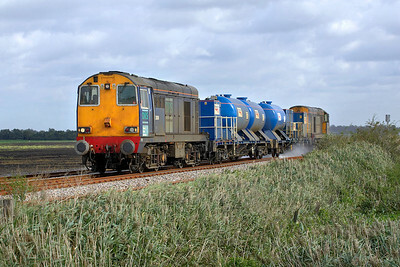 Running around 90 minutes early, 20308/20309 pass Shippea Hill on 07/10/2006 with 1Z63 1310 Wymondham-Colchester 'Leafbuster'. 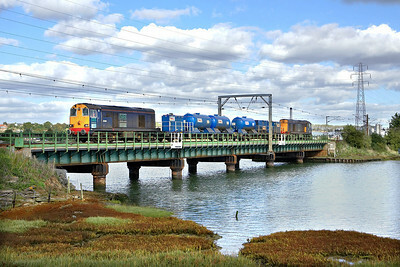 Now 110 minutes early, 20308/20309 cross the River Stour Viaduct at Manningtree on 07/10/2006 with 1Z63 1310 Wymondham-Colchester 'Leafbuster'. 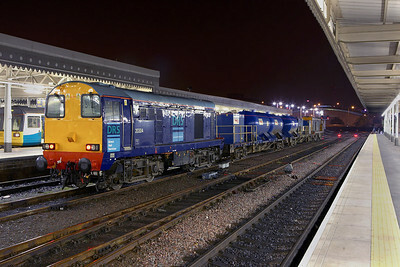 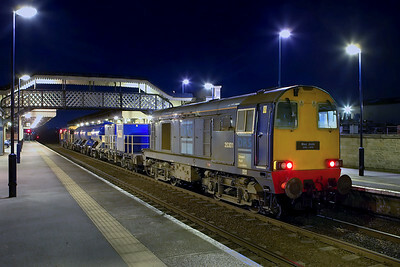 20301 & 20304 stand at Worksop after arriving with 3S11 1603 SuO York Works-Worksop railhead treatment train on 08/10/2006. 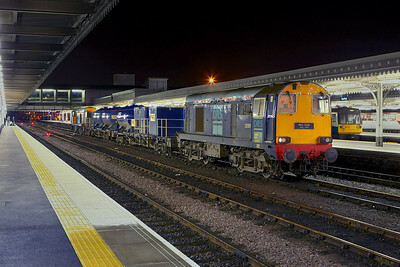 20301 & 20304 stand at Worksop prior to departing with 3S12 2023 SuO Worksop-Wakefield Kirkgate railhead treatment train on 08/10/2006. 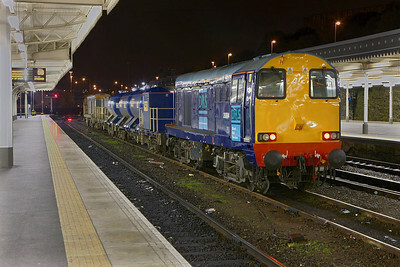 20301 & 20304 stand at Sheffield after arriving with 3S12 2023 SuO Worksop-Wakefield Kirkgate railhead treatment train on 08/10/2006.